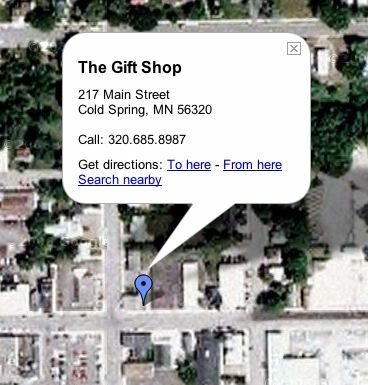 Visit THE GIFT SHOP in Cold Spring where you'll find affordable luxuries to treat yourself or someone else. Candles, gourmet foods, gift baskets, bath & body products, jewelry, personal assistance and more awaits you at the Gift Shop located in downtown Cold Spring. Need A Map & Location... CLICK HERE!